We know that choosing the correct paint color for the interior of your home can be extremely overwhelming. Therefore you can imagine the pressure that comes with choosing the color of the exterior your home! The benefit of James Hardie siding and trim is the fact that they are available primed and ready to be painted. As an additional benefit, you can choose from one of the many colors James Hardie offers under their ColorPlus Technology. James Hardie ColorPlus finish was developed especially for James Hardie fiber cement siding. It is applied with multiple coats, with each layer baked on in a closely controlled factory environment. This process ensures consistency in coverage. As each layer is painted on, James Hardie cures their finish for an even stronger bond that resists chipping, peeling and cracking. This finish is also UV Ray Resistant which means it won’t fade in the sun! James Hardie color experts have created a selection of colors that are known to make your exterior decor look great. You can visit their website and use the Home Color Tool for recommendations on what colors work well together as well as what products will fit your design. Below are examples of James Hardie ColorPlus Technology finish colors. ColorPlus Technology finish comes with a 15-year limited warranty that covers paint and labor, protecting against peeling, cracking, and chipping. 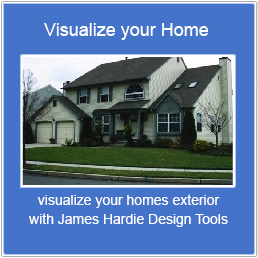 To find out what James Hardie Colors are available for your exterior decor project as well as to get a FREE in-home estimate, contact Good Guys Contracting, your local Long Island James Hardie contractor.